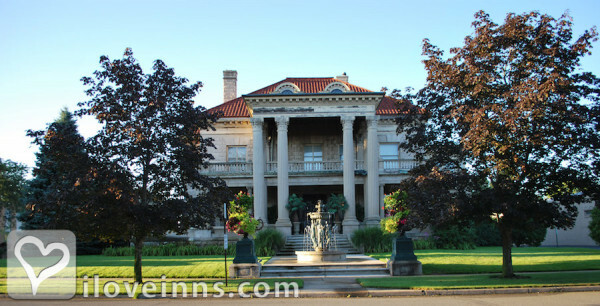 South Bend bed and breakfast travel guide for romantic, historic and adventure b&b's. 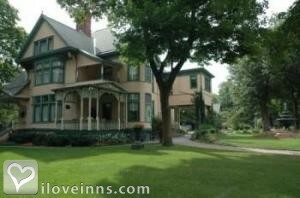 Browse through the iLoveInns.com database of South Bend, Indiana bed and breakfasts and country inns to find detailed listings that include room rates, special deals and area activities. You can click on the 'check rates and availability' button to contact the innkeeper. South Bend got its name because it is located on the southernmost bend of the St. Joseph River, and South Bend is also the county seat of St. Joseph County. Complete with carriages that are horse-drawn and historic houses built for the Birdsells, Olivers, and the Studebakers keep this town one of the most peaceful yet exciting places to be anytime of the year. If you are looking for somewhere to stay, try any of the South Bend bed and breakfast facilities. South Bend also boasts of being the location of the very first man-made white water course in North America. For the kids, they should not miss the Potawatomi Zoo on 23 acres of pure nature with 400 different animals. By The Oliver Inn Bed and Breakfast. As the fourth largest city of Indiana, it is easy to see why South Bend also happens to be a top destination in the state. This is also the home of the University of Notre Dame. Many of its great attractions are found inside the premises of the prestigious university. Known for its excellent record in athletics, the Notre Dame Stadium is a must see for visitors. Art lovers would love the fact that the city has a number of art museums with amazing galleries. These include the South Bend Regional Museum of Art and the Snite Museum of Art. The Studebaker National Museum, on the other hand, is just half a mile away from the center of South Bend. For great live performances, go to the Morris Performing Arts Center. South Bend bed and breakfast inns are found in many parts of South Bend. By The Oliver Inn Bed and Breakfast.